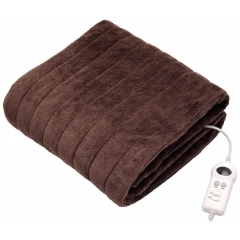 The Homefront Electric Throw range is part of the wider electric blanket range, providing winter warming products to keep users warm and comfortable when the temperature drops. 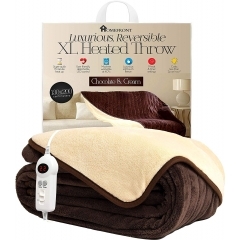 The Homefront throw is available in 2 sizes with the smaller personal throw available in chocolate brown and the larger XL throw a reversible model with one Cream side and one Chocolate brown side. 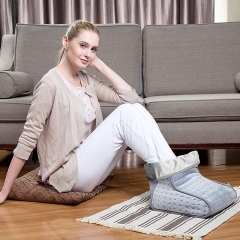 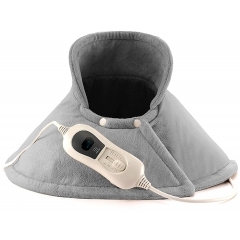 Both models are manufactured to the highest standards to ensure users feel the soothing warmth whilst remaining completely safe and comfortable. 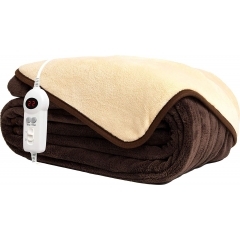 Each model has several heat and timer settings to select from to suit their individual needs. 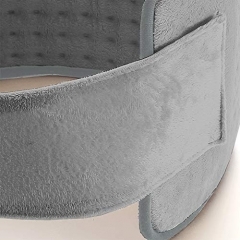 When you’re suffering from muscle and joint pain, you want a treatment you can rely on. 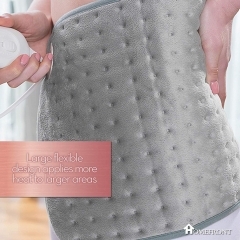 That’s why our heat pad is so effective – it’s designed to meet the highest quality standards to give you relief when you need it most. 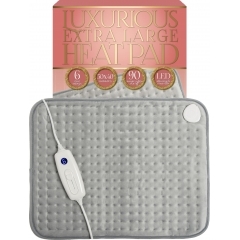 Made from ultra-soft microfibre fleece, our heat pad can be adjusted to fit snugly around the shoulders of men and women to give a gentle, cosy heat to aching shoulder and neck muscles. 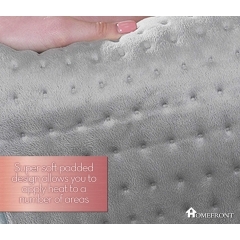 We’ve made sure every stitch of the heat pad is made with premium fabric so that your comfort comes first. 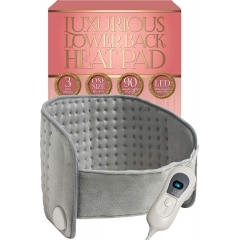 With 3 heat settings and an easy-to-use illuminated controller, you can easily adjust the temperature of the heat pad so it’s comfortable for you. 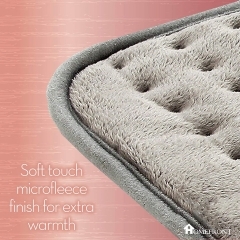 If you get too comfortable and fall asleep, don’t worry; the heat pad has advanced overheat protection and will turn itself off after 90 minutes. 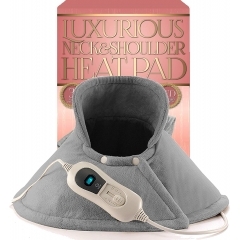 Don’t let aching muscles be a pain in the neck! 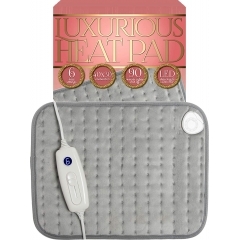 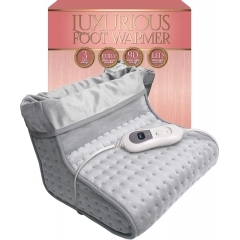 Just let our luxuriously soft heat pads ease your muscles and relax your mind.